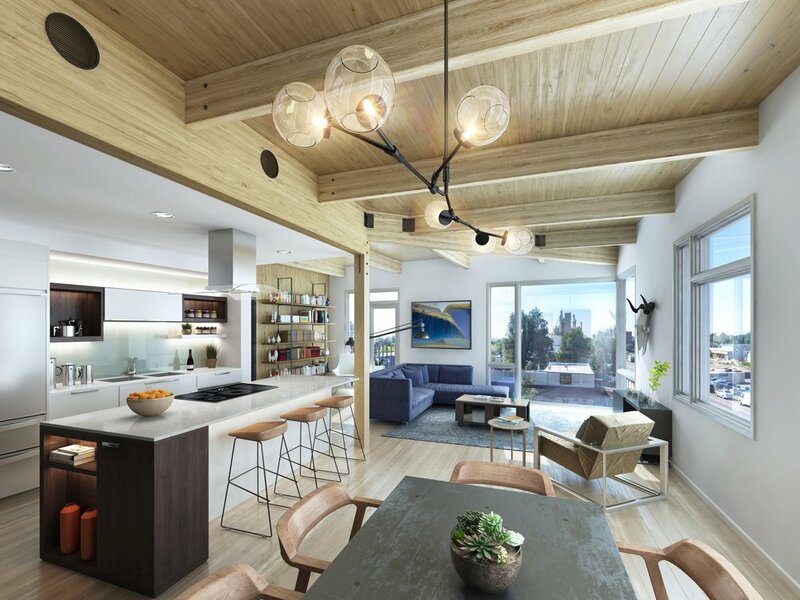 This quiet, off-street building is lifted up over the parking garage for better views and the urban condos gather around a landscaped community courtyard with a fire pit and a place to relax. All these units (except for the studio) have private terraces or balconies, high ceilings, ample storage and large windows with light and air from at least two sides with courtyard, Poudre River and Fort Collins River District corridor views. 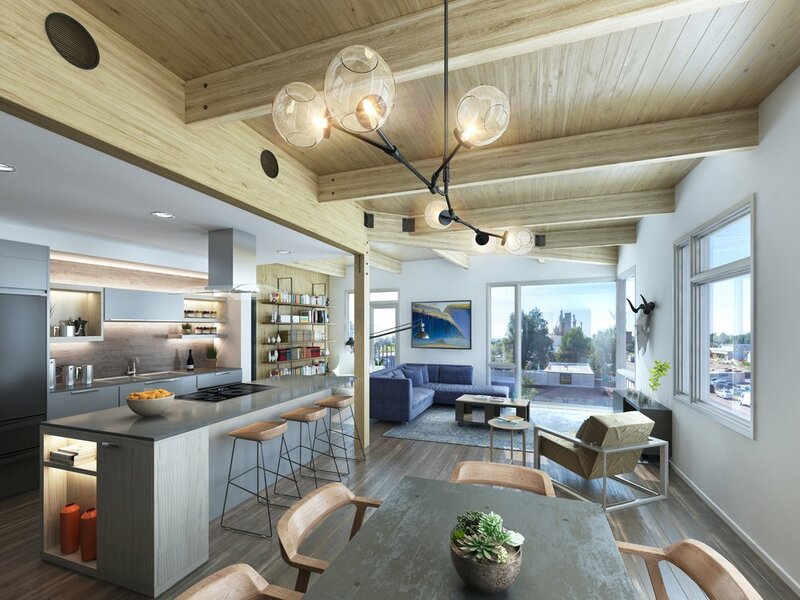 There is one studio and five one-bedroom, light-filled flats at floor two and six walk-up two bedroom townhomes for sale at floors three and four. Take a look at the Plaza & Tower buildings as well as the Confluence Commercial Spaces.